A pitifully brutal end to mortal existence, and an exquisite entry into the Other World. Approximate dimension: width 3.50 inches x height 4.13 inches x depth 0.51 inches. Chain length: 18 inches with a 1.5 extender chain. Materials: Fine English pewter. 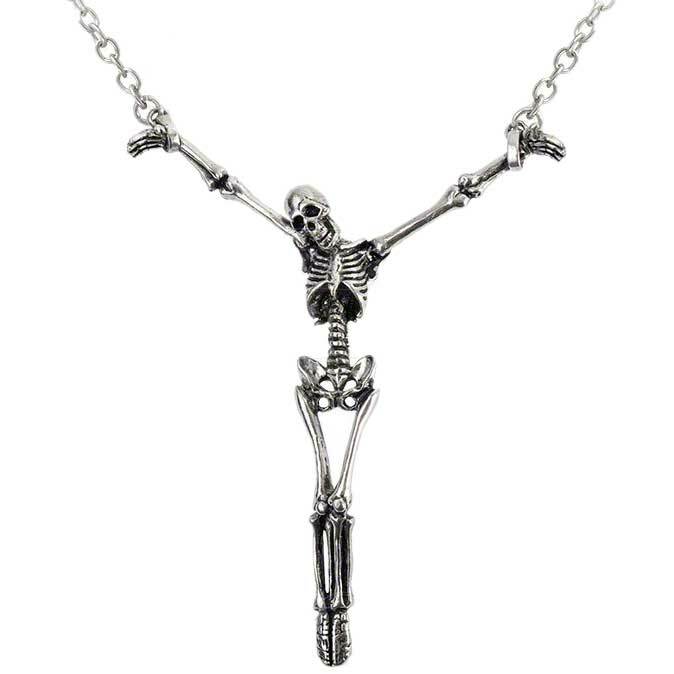 Saw the necklace and had to have it. It is big, but not in an uncomfortable way. Looks STUNNING. Details and looks go a long way. 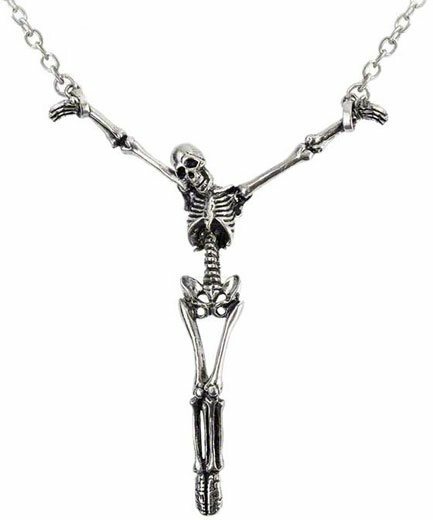 Chain isn't too long, skeleton rests against breastbone. Easily my fave jewelry piece.